In the 18th century, the Collie’s natural home was in the highlands of Scotland, where he had been used for centuries as a sheepdog. The dogs were bred with great care in order to assist their masters in the herding and guarding of their flock. 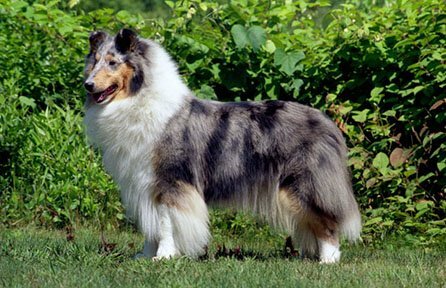 By the turn of the century, the American Collie was in a state of continued development. The breed continued to flourish in England. American show prizes were dominated by the British imports. As a result of the imports, the breed made rapid progress between 1900 to 1920. These dogs built the foundations upon which the present day Collie is based and paved the way for the emergence of the great American kennels of the 1920s and 1930s. Names such as Alstead, Arken, Arrowhill, Tazewell, Tokalon, Hertzville, Lodestone, Noranda, Sterling, Bellhaven and Honeybrook began to dominate the American dog scene. This signaled the true emergence of the golden age of the American Collie. Our Collie legacy since that time has been rich and varied. For more detailed information regarding the history of the Collie, contact the Collie Club of America, Inc., for various books and publications.